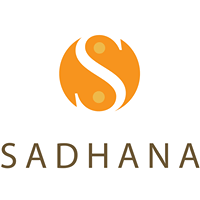 Sadhana Yoga aims to provide a supportive space where the South End and surrounding communities can practice yoga. We welcome people of all ages, abilities, and walks of life. It is our core belief that by practicing yoga and taking the time to nourish ourselves inside and out, we will lead healthier, happier lives. When we are nourished, we are better versions of ourselves for our family, friends, and neighbors, thus creating a happy and healthy community that is ready and willing to make changes for the better. Feel good, do good! We want to change the world around us for the better, too. That’s why it is our intention to donate a portion of any profits to worthy causes. Each year, the Sadhana and Coolidge Corner Yoga communities will vote together to decide which cause(s) most need our support. In this way, we strive not only to improve the bodies and daily lives of students through the practice of yoga, but also to make a positive impact on the world around us over time.